Arrival Agency, Streetfood Vancouver, and Vancity present the 4th Annual Food Cart Fest, the city’s largest gathering of street food carts. 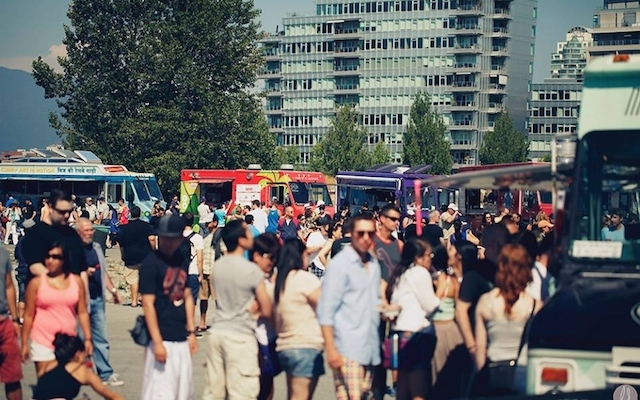 Last year, upwards of 5,000 people swarmed to Olympic Village every week to take in Vancouver’s beloved street food scene. Launching this year on Sunday, June 28, it will run for 11 consecutive Sundays until September 6. This year the festival is adding to its programming in a major way. New at Food Cart Fest is the Sunday Local. Operating adjacent to the festival, this 400-person capacity, licensed live-music patio will feature local acoustic talent on stage and showcase the best craft beer and wine the province has to offer. 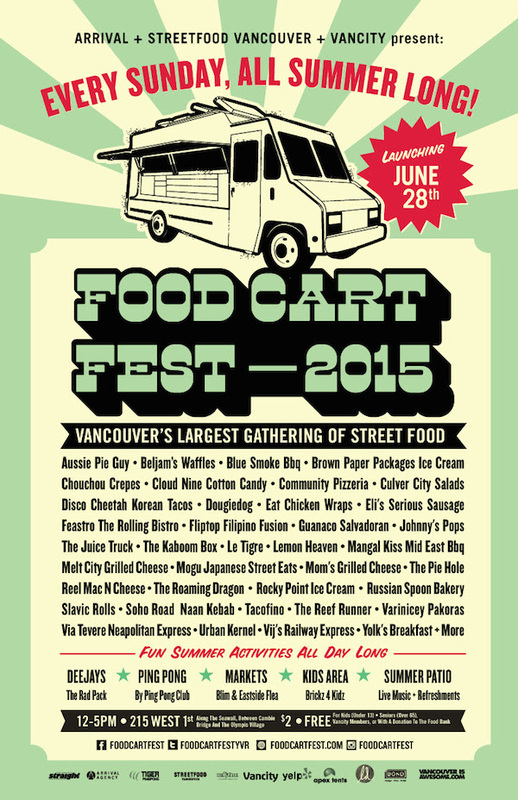 Lineups will be announced by Food Cart Fest on social media. In addition to all the food and fun, Food Cart Fest is very serious when it comes to the environmental footprint. Thanks to a sponsorship initiative from Vancity, last year the festival was able to run for 11 weeks, diverting 93% of the waste generated onsite. 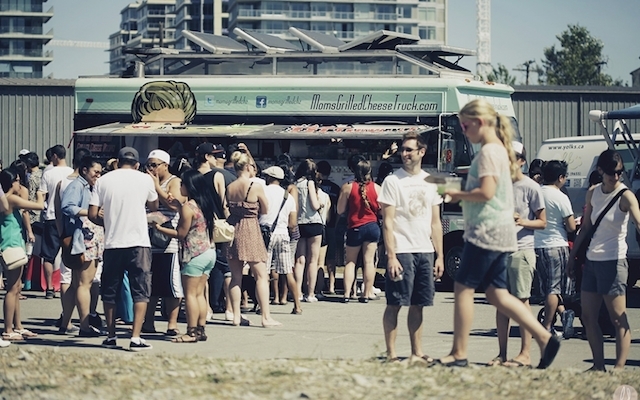 This zero waste initiative was achieved through a partnership with Recycling Alternatives and Green Chair as well as a policy Streetfood Vancouver has to only use compostable, recyclable packaging. Vancity has been instrumental in making this partnership happen and will continue to support it throughout the 2015 season. In addition, for 2015, Vancity’s Zero Waste Events partnership deepens impact in our community by integrating a social responsible staffing component. United We Can will be providing staffing onsite as recycling and composting ambassadors to help on the divert efforts. 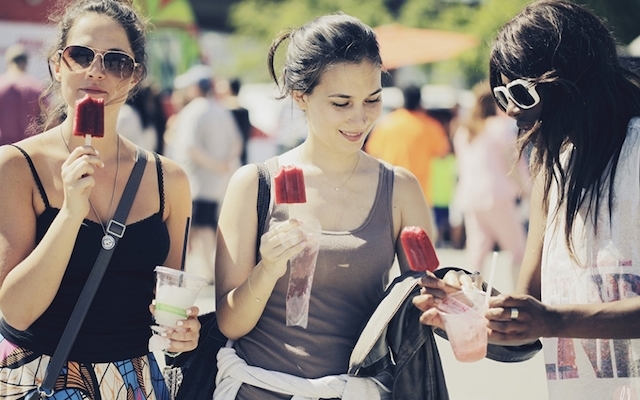 Starting Sunday, June 28, come experience what makes summers in Vancouver great: food, fun, and sun. 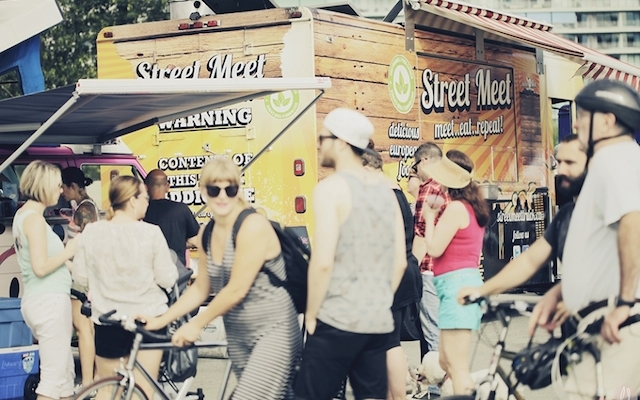 Food Cart Fest is happening every Sunday until September 6. Admission is $2 or free for Vancity members or a non-perishable food donation to the Greater Vancouver Food Bank Society. 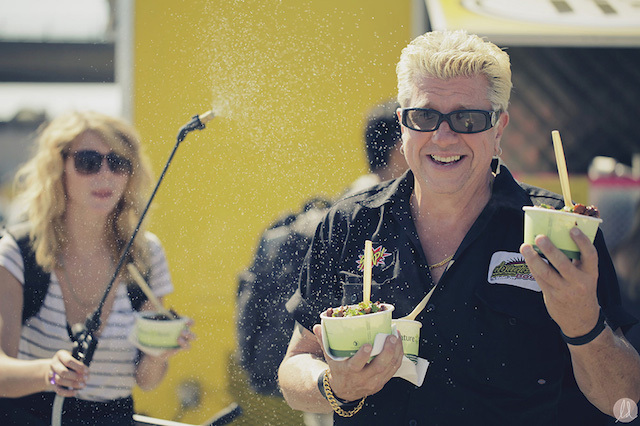 For more information, visit www.foodcartfest.com.